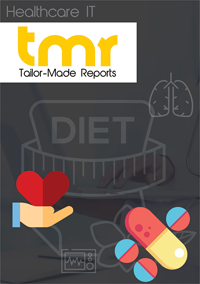 The global digital health market is driven by a rising demand for improved communication between healthcare professionals and patients so as to reduce medication errors and provide improved coordinated care. Digital health improves the quality of care by enabling access to lab results and gives drug information so that doctors can prevent harmful drug interactions. As digital health provides better and efficient care of patients as compared to traditional healthcare technology, their demand will continue to rise in the forecast period from 2017 to 2025. Digital health technologies such as digital diagnostic systems, EHR, and wireless technologies are making use of a range of data for efficient treatment of patients, including immunization dates, patient history, allergies, medication, radiology, diagnosis, lab test results, treatment plans, and insurance information. Players in the digital health market are participating in mergers and acquisitions, intensifying competition in the market. Players are striving hard to provide advanced technology that is also cost effective. HomeCare Connect, a Florida-based home healthcare company, concentrates on supporting home health for injured employees on worker’s compensation. HomeCare Connect Tele-Connect is a new app for tablets, smartphones, or computers that can connect healthcare specialists and caregivers with injured employees. The services can be obtained without shelling a dollar.